Since 1994 the Animas River Stakeholders Group has worked to reduce metal loading to the upper Animas River Basin by remediation of inactive and abandoned mine sites through a collaborative approach including mining companies, environmental groups, and local, state, and federal governmental agencies. Our Mission is to protect and improve the quality of water resources to benefit the Animas River, now and in the future. Our Vision is that our diverse Animas Watershed communities are united to keep the river healthy, productive and fun. Operating Principles: The Animas Watershed Partnership’s (AWP’s) efforts are guided by four operating principles. Works toward voluntary, non-regulatory solutions to improve water quality and river health. Promotes collaboration across all boundaries. Uses data and science to make informed decisions. Shares information and efforts openly with people and groups. Colorado Department of Health and Environment (CDPHE). The alerts wil inform the public when something of concern is noticed in the quality of the water in the river. Strange colore, hasardous spills and heavy sediment wil be investigated for impacts and you get notified. Every incident noted will have a report posted to the CDPHE Animas River website. Short and easy signup!! Click the instructions link below to learn more. Or click the Code Red button for immediate signup. La Plata County Emergency and general information updates. The City of Durango provides drinking water to the residents of Durango utilizing water from the Animas River. The City also manages recreational use on the Animas River in town. The mission statement of the City of Durango is: We the City, as representatives of the people, shall be accountable and effective guardians of the public trust and resources. We are committed to the provision of effective and efficient public services designed to enhance the quality of life of the citizens of our community. We shall conduct the affairs of our City openly and ethically and manage our growth and development in a manner that respects our environment and preserves the unique character and identity of our community. We view our citizens as our most important resources. The mission of the Division of Reclamation, Mining and Safety (DRMS) is "To protect the public, miners and the environment during current mining operations, restore abandoned mines, and to ensure that all mined land is reclaimed to beneficial use." DRMS Vision is "The division is committed to balance the need for mineral resource production with the protection of the public, environment and Colorado's natural resources." MSI is driven to lead state-of-the-art science and education because the San Juan Mountains are our communities’ greatest asset. Along with our partners and you, they have called us to explore, seek new challenges, and learn from them. MSI engages stakeholders, galvanizes resources, actuates science, and shares findings – connecting scientists and stakeholders across the San Juan Mountain region to go beyond scientific inquiry to the meaningful application of science that makes a difference for the quality of environment and mountain systems. Region 9 Economic Development District of SW Colorado serves the counties of Archuleta, Dolores, La Plata, Montezuma and San Juan, and the cities and towns within those regions, as well as the Southern Ute and the Ute Mountain Ute Indian Tribes. Our mission is to be a regional leader, working cooperatively with the private and public sectors to enhance the economic conditions in the area, and improve the region's economic prosperity. We monitor, address, and communicate health concerns to the community. The Gold King Mine spill and 416 fires disrupted our daily life and promoted widespread concerns about health risks. San Juan Basin Health serves our communities by shedding light on these concerns. The Southern Ute Indian Tribe Water Quality Program strives to improve the quality of surface waters on the Reservation through monitoring and with projects that employ best management practices. We are committed to public education and community outreach since long-term improvements cannot be achieved without public involvement. Sunnyside Gold Corporation (SGC) operated in the Silverton Caldera for a brief five years, from 1986-1991. Responsible operations and reclamation was always at the forefront for SGC. Once operations ceased, SGC closed the mine in accordance with the law, its permits and a State-approved Consent Decree. SGC has satisfied all closure permits and obligations and has spent $30 million on reclamation and remediation over 30 years. SGC’s five years of responsible mining and 30 years of reclamation and remediation in the Silverton Caldera has resulted in less metals in the Animas River than would have otherwise been the case. 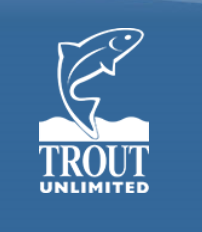 Five Rivers TU is the local grass roots organization of Trout Unlimited, a national organization of over 150,000 members. Our mission is to Protect, Reconnect and Restore our coldwater fisheries. 5RTU is supporting National TU in its effort to promote the enactment of Good Samaritan legislation at the national level (www.sanjuancleanwater.org). 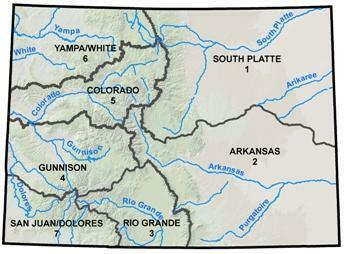 The Colorado Division of Water Resources website contains a database of USGS gages along the waterways including the Animas River.